Saying the FBI has unfairly targeted fans of a Michigan rap group as criminal gang members, attorneys for Insane Clown Posse filed suit against the bureau Wednesday, the New York Times reports. The lawsuit filed in U.S. District Court in Detroit claims the gang designation was unwarranted and has lead to harassment by law enforcement. Four of the fans, known as Juggalos, also filed suit, saying they were unfairly targeted because of the music they like. One of them, Brandon Bradley, of California, said he was pulled over by police several times because of his Juggalo tattoos and clothing. “I’m a peaceful person and I try to live my life right,” he said. 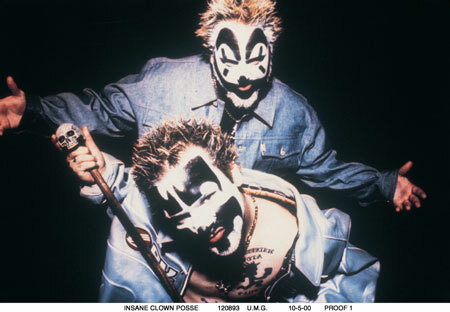 The FBI declined to comment on the lawsuit, but in the past said Juggalos have a history of violence. Posted: 1/9/14 at 1:40 PM under News Story.